Pundits often speak of “going green” as if all it involved were more considerate allocation of resources and regulation of harmful industry. Yet with this comes the responsibility of creating more resources in turn and balancing injury with abundance. Greenness entails awareness of Earth in all its forms, physical and metaphysical alike. The music of Stephan Micus engages both persuasions, enriching the inner lives of those fortunate enough to hear it while encouraging a harmonious and, above all, creative relationship with the environment. A consummate traveler and student of traditional instruments from nearly every continent, Micus has drawn inspiration from a staggering variety of locations, but that makes him no mere collector checking off items on some cultural itinerary. Instead, he modifies these instruments to suit his needs and manifests his connections to them through truly original compositions, all while replenishing what the world has gifted him, and then some. Micus has had a long association with ECM Records, known for its rigorous production standards (typically recording, mixing, and finalizing an album in three days) but which has come to give the German multi-instrumentalist free reign to record in his home studio and send in the master(ful) tapes for postproduction. Despite being his 21st album for the label, Nomad Songs is no less thoughtful than the 20 previous. If anything, it’s a return to the most essential forces of his physics: push and pull. This is not to imply conflict but balance in the music, whereby seemingly contradictory actions flow into one another in the manner of the tide, expanding and recessing to the beat of an invisible drum. Which is perhaps why Micus plays, for the first time on record, the genbri, a bass lute used by Gnawa of Morocco as an instrument of healing and, in his hands, a percussive force throughout these sequences. Also new is the ndingo, a kalimba-like instrument favored by the San, an indigenous people of Botswana stripped of their nomadism by African nation states. The album’s title thus has dual meaning, tracing Micus’s own itineracy and honoring those deprived of it. “Everywhere, Nowhere” opens the 11-part odyssey with a duet between the two newcomers. The resonant buzz of the ndingo, enhanced by means of a wooden sounding box, is as organic as a human-made instrument can be. Like the throat of one who has sung for eons, it reveals lifetimes of knowledge with every utterance. The genbri, in the enlarged form heard here, could almost be mistaken for an upright bass and as such takes Micus in lucid directions, unveiling a little of the mystery of his expressions. Only one other piece, “The Spring,” features this same combination of roots and leaves. Like a row of people walking hand in hand through the night, it sneaks away into the hope of a future without hierarchy. Such respect has always been at the core of the Micus soundscape: his music may be openly visual but is temporal at heart, compressing and decompressing long stretches of time as if they were matter to be molded. A kindred message prevails in the album’s two solitary pieces. “The Blessing” is a vocal solo that meshes Micus’s spontaneous language with wayfaring melody, yet it is the 12-string guitar of “The Stars” that acts the part of storyteller. Brief, delicate, and ending in sparkling harmonics, it is a meteor shower reduced, as the sky would have it, to a play of light against the yawn of night. Whether pairing steel-string guitar and the Balinese recorder known as a suling (“Leila”), or two Irish tin whistles, played simultaneously (“Sea Of Grass”), the duo pieces are less conversational than they are integrational. These, too, glance back to Micus’s earliest work. In characteristic fashion, the more instruments he adds, the more uniform his sound becomes. The gamelan qualities of the three ndingo in “Under The Chinar Trees” mesh exceptionally well with shakuhachi and voice, making for one of the most beautiful experiences he has ever committed to record, while appearances by the Egyptian nay (“The Feast” and “The Promise”) and a 14-string guitar of Micus’s own design add fire and water in equal measure. The rewab (long-necked lute of the Uyghur people of Western China) and rabab (Afghan lute) expand the plectrum-heavy palette, culminating with guitars in “The Dance,” in which the rabab’s shamisen qualities pave an alluring detour. Not only is this some of Micus’s finest work; it is also the most enchantingly recorded and mastered. Listening to it, one can hardly be surprised that his last name is an anagram of “music,” because everything he touches turns into nothing less. His gestures open arteries by linking them to a universal blood flow, in which the aneurisms of supernovas and the embryos of planets weave a path that he treads, for all a sage, crushing nothing beneath his feet except denial of eternity. My latest review for RootsWorld online magazine is of Stephan Micus’s latest for ECM: Nomad Songs. Click the cover to read my review and hear samples of this superb album from the label’s most uncompromising traveler. 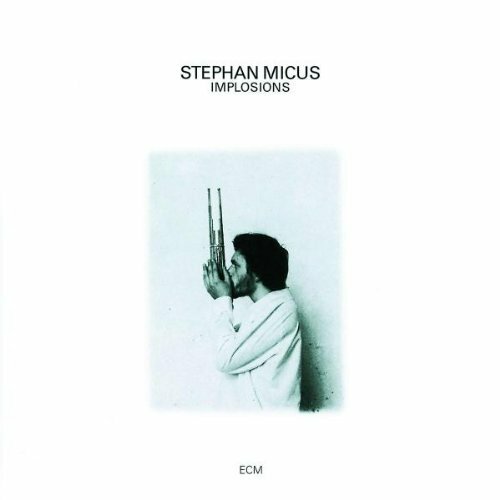 As of this month (August of 2015), ECM’s intrepid Stephan Micus has released his 21st album for the label, Nomad Songs. In recognition of this achievement, and of the prescience of that title, I thought it only appropriate to acknowledge Implosions, his first album for producer Manfred Eicher, released on the JAPO sub-label in 1977. What might the first-time listener have imagined when spreading roots into its soil? What fantasies or lamentations? What creeds or philosophies? Micus’s sound art, assembled as it is from a uniquely global perspective, is one in which such questions, but never their answers, reign supreme. Like the sitar solo which opens “As I Crossed A Bridge Of Dreams,” it contains many possible universes but yields only one. One sitar becomes three, and one instrument two as Micus adds an acoustic guitar, all the while spirographing this inner sanctum with the curvature of his singing. The two lap instruments reveal themselves to be indeed rooted in seated chakras, while the voice treads with more luminescent footprints to show for its passage. Crossing threshold after threshold, it shakes the sky out as if it were a laundered sheet, until the stars release their hands from prayer. 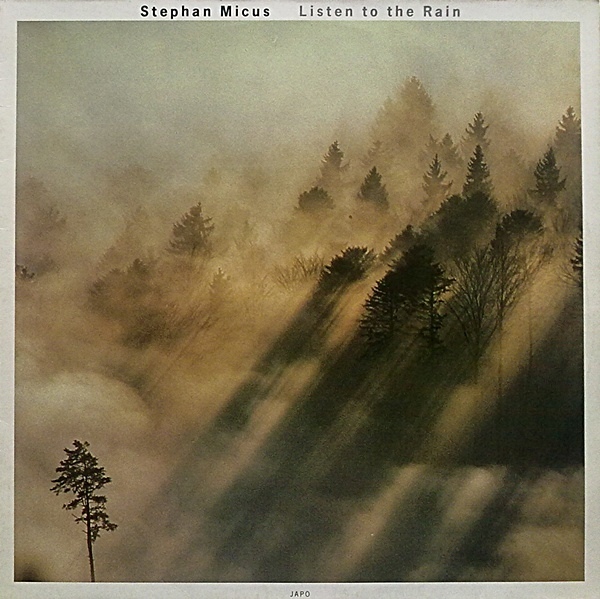 Although Micus has most often crafted albums at his home studio and sent them to Eicher for mixing and mastering, earlier ones such as this were recorded at Tonstudio Bauer in Ludwigsburg, Germany, where many of ECM’s formative releases were also realized. The studio dynamics imbue these travels with a rather different intimacy, one which brings its own climate and bounces back sunlight like the moon. Three Bavarian zithers, each with its own signature, form a dense and percussive bed for Micus’s singing in “Borkenkind.” His floating transpositions trail sutras of memory, spinning from them a yarn of forgetting. This becomes the sole purpose of the music: to detach oneself from the snares of fame and recognition until only the sound and the ear are left to dance unhindered. And indeed, when Micus sings again in “For M’schr And Djingis Khan,” accompanied by the uncut diamond of the rabab (Afghani lute), he balances on a tipping point into infinity, his mouth filled with empty pages. Even when he doesn’t sing, his heart resounds through the four shakuhachi of “Amarchaj,” each chamber a bird with its own ritual warble, threading clouds to their shadows on earth below. This leaves only the Thai flute of “For The ‘Beautiful Changing Child’” to cast itself into an ocean without language. Lifted by three shō (Japanese mouth organs), it resists even these words struggling to catch it, riding the waves from one dawn to the next, waiting for my well to run dry. Before migrating across the ECM continent, Stephan Micus outfitted some of his most formative expeditions in the territories of the JAPO sub-label. On these albums one hears Micus at his most elemental, turning every gesture into inter-spatial awareness. The album’s duration of 36 minutes only serves to deepen its intimacy as a space in which the listener might catch a cushion of meditation in a world of splinters. Micus’s practice has always been to render the stem before the flower, and in the album’s title track a table harp provides that very illustrative function. Its dulcimer-like heart beats a rhythm at once ancient and fresh, curling as the scriptural page, its edges darkened from constant contact with the hands. Those same hands cradle a method of speech so musical that its melody is discernible only in the freedom of solitude. This is perhaps why Micus tends to work alone: so that he might open every angle honestly and uniquely, until the geometry of his life grows big enough to Venn-diagram into the listener’s own. Bowed zither expands the roots and gives way to a kortholt, a crumhorn-like reed from the Renaissance that pulls hidden colors from the sunlight. A classical guitar, which all but disappears from Micus’s later work, defines ethereal flesh through a worldly skeleton. Like the music itself, it is gut and wood and movement, drawing a string through immediate intellect to that of another time. “For Wis And Ramin” is even more direct in its expressiveness, triangulating guitar and zither with Micus’s imagined singing. Imagined, because no words would do justice to the palette from which he draws, one that harbors not the barest pigment of politics. After the opening classical guitar solo connects its geometric touch-points, only a throated language can bring to the light that which is born in the dark. Micus is thus a troubadour who seeks love not only on earth but also from heaven, so that when the zither walks in the voice’s path, we must also feel the soles of our feet pressing their outlines into planes of stardust, refuges of forgotten pollen. 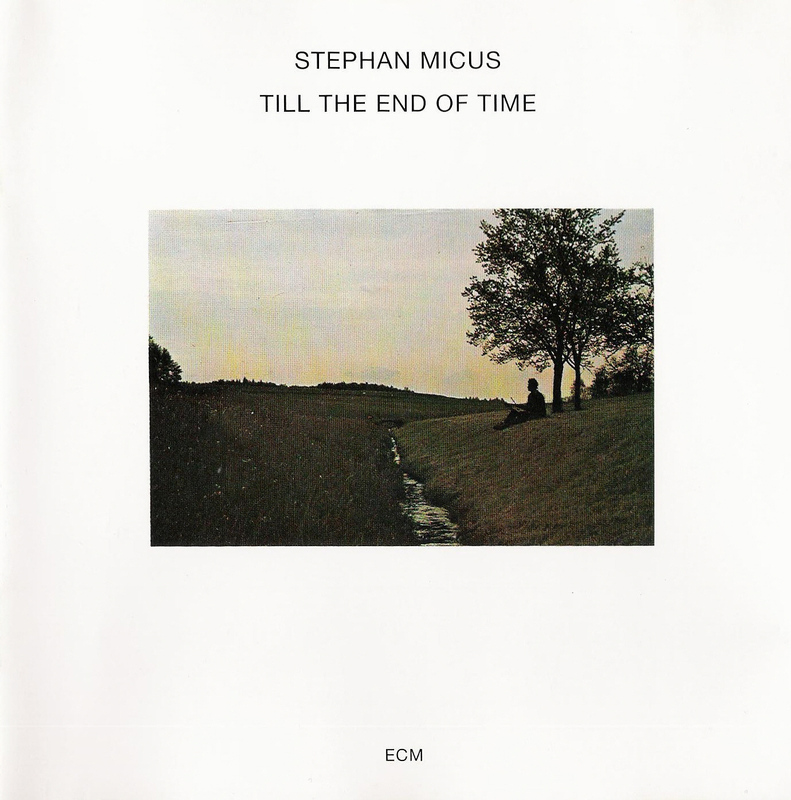 The music of Stephan Micus is a soundtrack to life. It holds the sky in its crown, the earth in its belly, a molecule of ocean on its tongue. And while each of his albums may be the first step of a longer journey, the two early releases reviewed here just might be the best places to start for those who have never encountered him in their travels. If Micus’s saga were an ongoing raga, then 1983’s Listen to the Rain would be one of its most inward-looking prayers. All four meditations that make up the album, while externally distinct, are internally connected through Micus’s use of guitar. The Spanish variety plays a particularly active role throughout, with the sole exception of “Dancing with the Morning,” for which he pairs the ubiquitous steel-stringed with the suling, a bamboo flute often heard in gamelan ensembles of southeast Asia. Knowledgeable listeners will recognize both the rarity of the backpacker’s trusty companion in the Micus canon and its elemental necessity in this setting. The ascetic sheen of its metal strings paints a world of shine to which a human presence adds less manufactured colors. The suling’s unclipped wings, by extension, are exhaled into the sky above, circling and darting through the surrounding melodies until they take shape under cover of their own imagination. The title track is a duet for Spanish guitar and tamboura. True to his extensively creative spirit, Micus plays the latter like a zither, over which the former’s gut strings produce an ascendant pathway into “White Paint on Silver Wood,” which trades the tamboura for shakuhachi. The Japanese bamboo flute begins with a solo that teeters on the edge of breathlessness and follows through on its wandering spirit. Flamenco-esque touches evoke movement not only of dancer’s feet but also of artist’s brush. Yet it is “For Abai and Togshan,” which takes up Side A of the original vinyl, in which the farthest reach of this interior song takes physical form. Three dilrubas (bowed lap instruments from northern India) open in drone, wavering like bodies once lost in time but only now finding each other, piece by sunlit piece. Three soon give way to five, joined by four Spanish guitars, whose harmonic infusions fade in rose tones of complexion. The atmosphere is as much introspective as it is joyous, and finds in the solitary center a peace immune to corruption of shadow. The dilruba’s sympathetic overtones begin as if leaving, dropping cartographic messages as breadcrumbs into sundown. 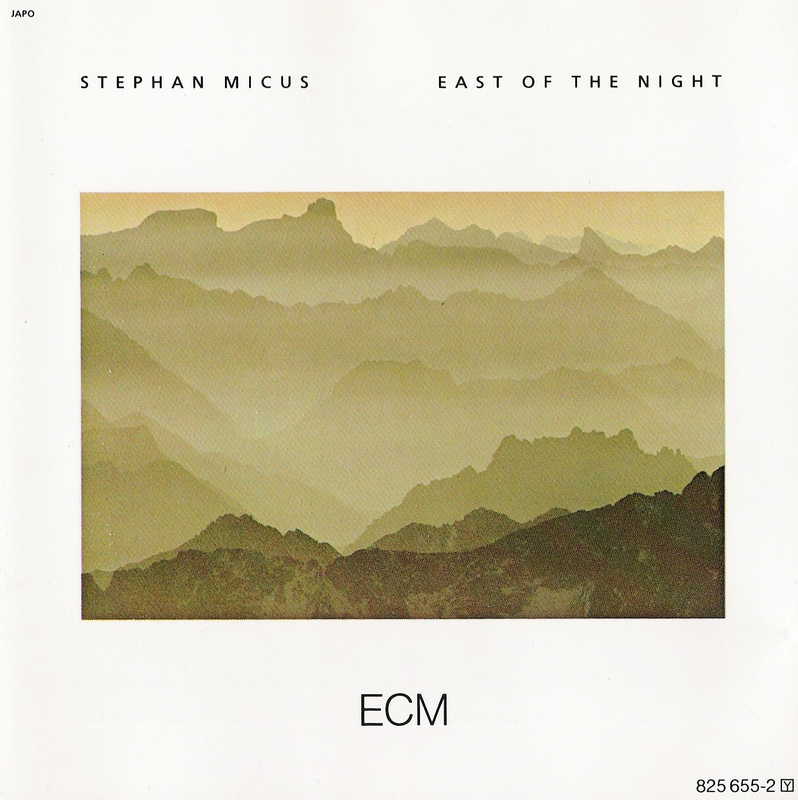 East Of The Night, released in 1985, is one of Micus’s most melodic albums. Its two long tracks epitomize, ever so humbly, the dictum of less is more. The title piece, a conversation for 10-string guitar (an instrument of his own design) and shakuhachi, feels like a dialogue between master and disciple. Micus’s guitar combines the reediness of a lute with the subtle ferocity of a koto, making it a natural partner to the shakuhachi’s dawning breath. Each pluck of a string works the upholstery of the sky until a surface of untreated wood is revealed behind it. Details of handiwork once obscured by finery and ornament now become naked art. With the softness of a windblown curtain, the plectrum moves from foreground to background before the shakuhachi takes on a Milky Way texture in a suite of thrumming stardust. The flute fragments, multiplies, and ends the set’s first half on a congregational sigh. “For Nobuko” is dedicated to Micus’s wife, recipient of this powerfully intimate solo for another custom instrument: the 14-string guitar. Its flowerbed extends far beyond the window box and trails vines from one domicile to another, stretching across vast plains of tundra toward immaculate love. It encompasses the dedication of one human being, whose balance is achievable only by offering himself up to another’s fundament, into which the listener’s own messages might also be divined. Like two vapor trails, Listen to the Rain and East Of The Night mark their respective paths of motion by holding relatively still against the blue. One is the parallel of the other, never intersecting except by the illusion of perspective. Together, they are further significant for easing the JAPO sub-label’s 14-year flight in for a landing, thus ending one fantastic voyage by barely beginning another. 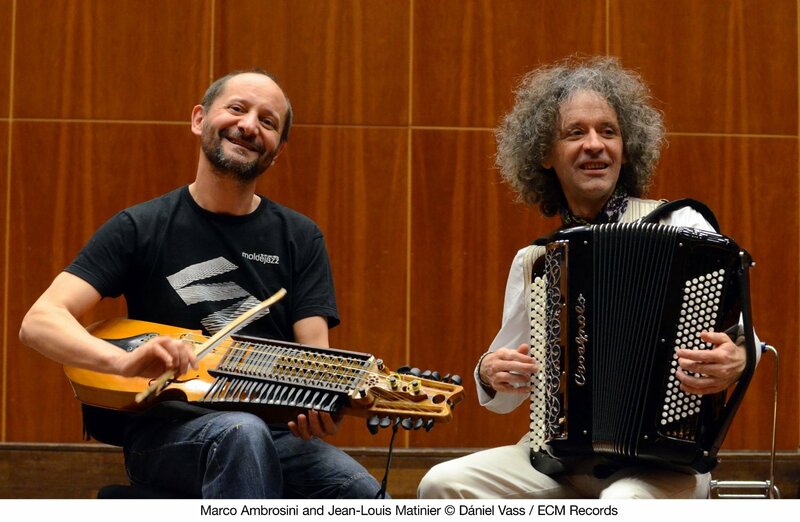 Although French accordionist Jean-Louis Matinier and Marco Ambrosini, Italian virtuoso of the nyckelharpa (a Swedish traditional instrument that is something of a cross between hurdy-gurdy and vielle), have existed as a duo since 2008, it took a period of refinement and an invitation to record for ECM Records in 2013 before their music at last saw the digital light of day. 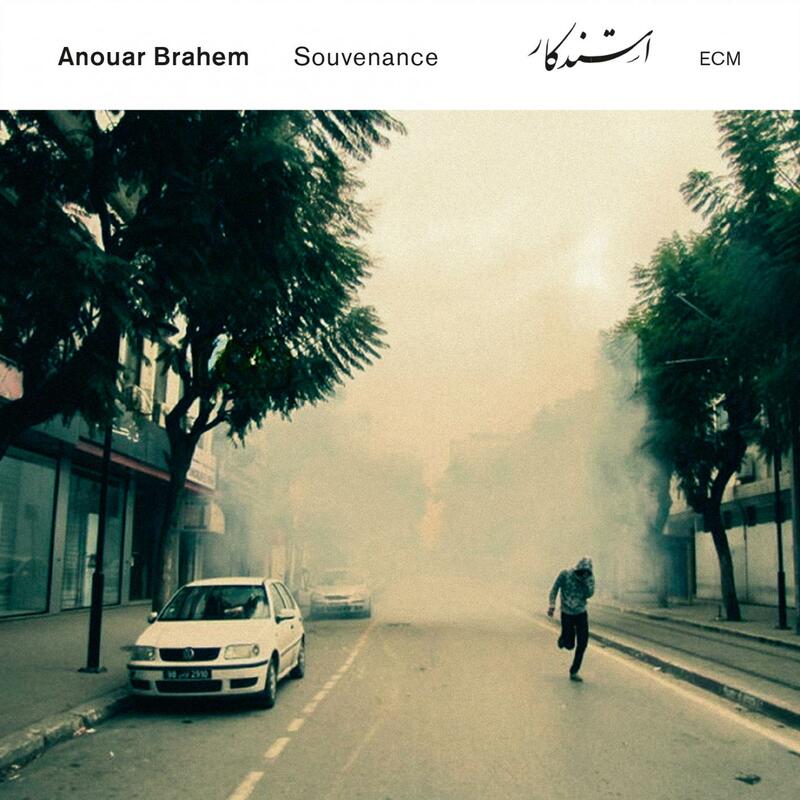 Anyone who has followed the career of Anouar Brahem in the 21st century will have encountered Matinier alongside the Tunisian oudist on 2002’s Le pas du chat noir and 2006’s Le Voyage de Sahar. 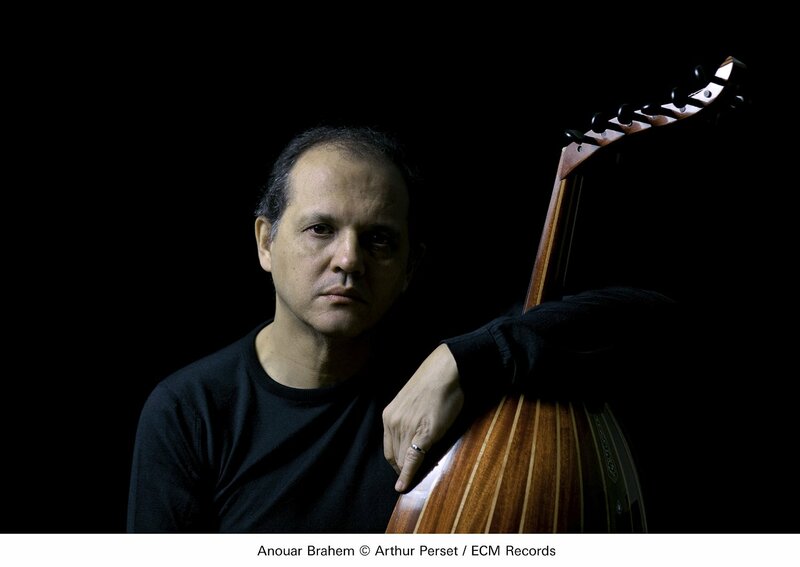 Ambrosini is recognized as a leading proponent of the nyckelharpa and has carried that instrument in fresh directions across a varied terrain of recordings. Matinier has elsewhere characterized his musical relationship with Ambrosini as “a total dialogue,” and the description could hardly be more appropriate. They complete each other’s sentences. The first strains of “Wiosna,” among the lion’s share of tracks penned by Matinier, immediately recall another duo: Argentine bandoneonista Dino Saluzzi and German cellist Anja Lechner. Both partnerships are savvy in terms of rhythm and atmosphere, morphing from tears into triumph at a moment’s notice. 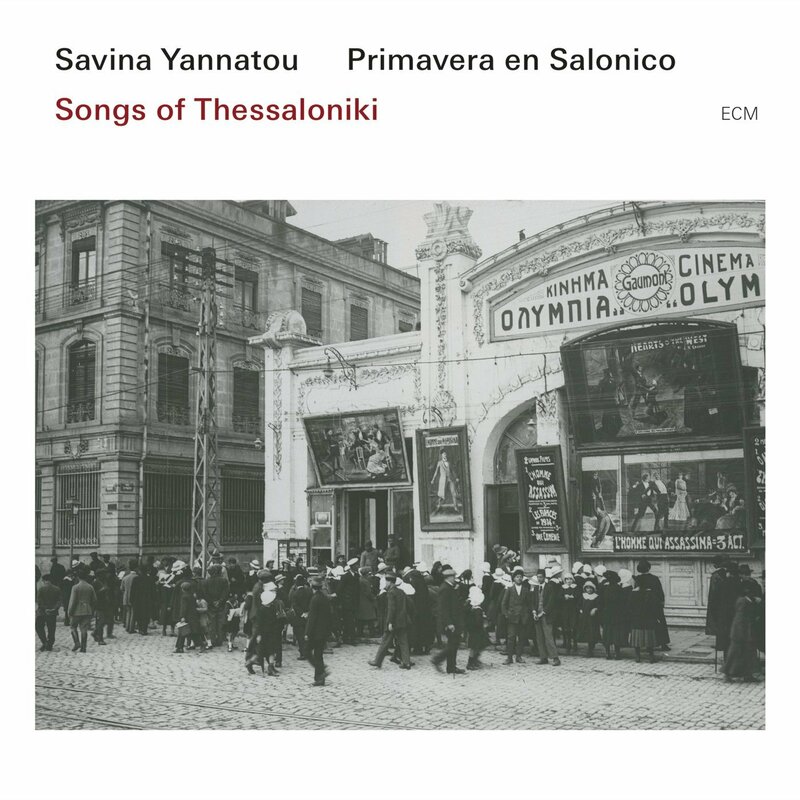 And yet, if Saluzzi and Lechner could be said to treat the listener like a canvas, Matinier and Ambrosini treat the listener like a movie screen on which to project moving images. This analogic difference comes about through both a distinct timbral palette and an unprecedented program. It is virtuosic and gorgeous all the same, but in its own way indivisible. 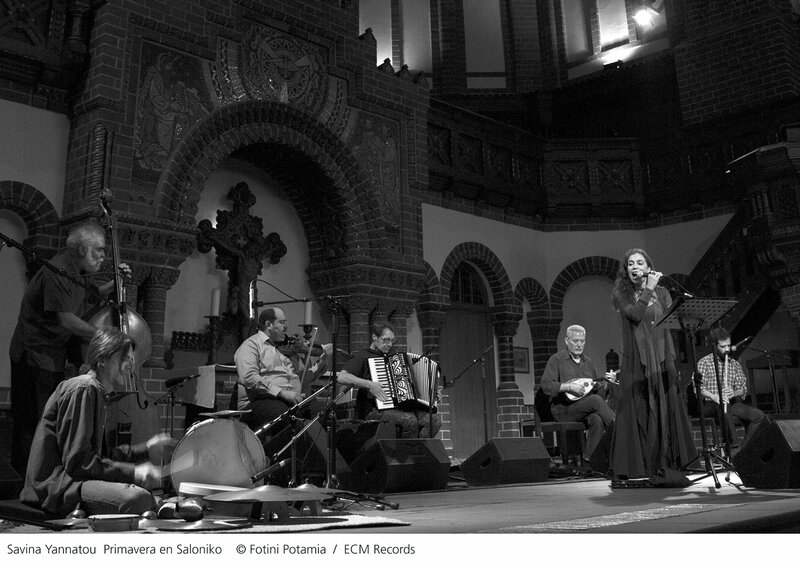 Matinier’s writing comprises a folk music all its own. Whether in the cartographic flybys of “Hommage” and “Kochanie Moje” or in the briefer passages of “Taïga” and “Balinese,” an underlying pulse finds consummation in the musicians’ synergy, which is so seamless that it’s sometimes difficult to tell where one instrument ends and the other begins. Even in Matinier’s two solo tracks, the nyckelharpa’s droning spirit lingers. Of those solos, “Szybko” is particularly moving and brings to mind the flute playing of Guo Yue. Like the “Siciliènne” (by accordionist-composer André Astier) that closes the album, his are fleeting portraits of places out of time. Also out of time are Ambrosini’s own compositions, through which the nyckelharpa’s sympathetic strings resonate like a life force. His “Basse Dance” best exploits the duo’s interlocking sound and might just as well have been lifted from a Renaissance manuscript. In this context the nyckelharpa sounds like a viola da gamba and signals the titular dance with a locomotive pulse. His “Tasteggiata” and “Tasteggiata 2” are likewise steam-driven, chugging through a full spectrum of color. The album’s circle rounds out with segments plucked from a tangle of Baroque repertoire by Giovanni Pergolesi, Heinrich Ignaz Franz von Biber, and Johann Sebastian Bach. A “Presto” from the latter’s g-minor sonata for solo violin is reborn at Ambrosini’s fingertips, which imbue this familiar piece with an ancient air, while the “Inventio 4” from Bach’s Two- and Three-part Inventions yields not only the album’s title but also its most luminescent notecraft. Folk touches from Ambrosini again pull this music into a deeper origin myth. Such integrations make the Baroque selections something much more than obligatory nods to an established canon. Their placement stirs the waters with a certain depth of interpretation that links them to a chain across borders. 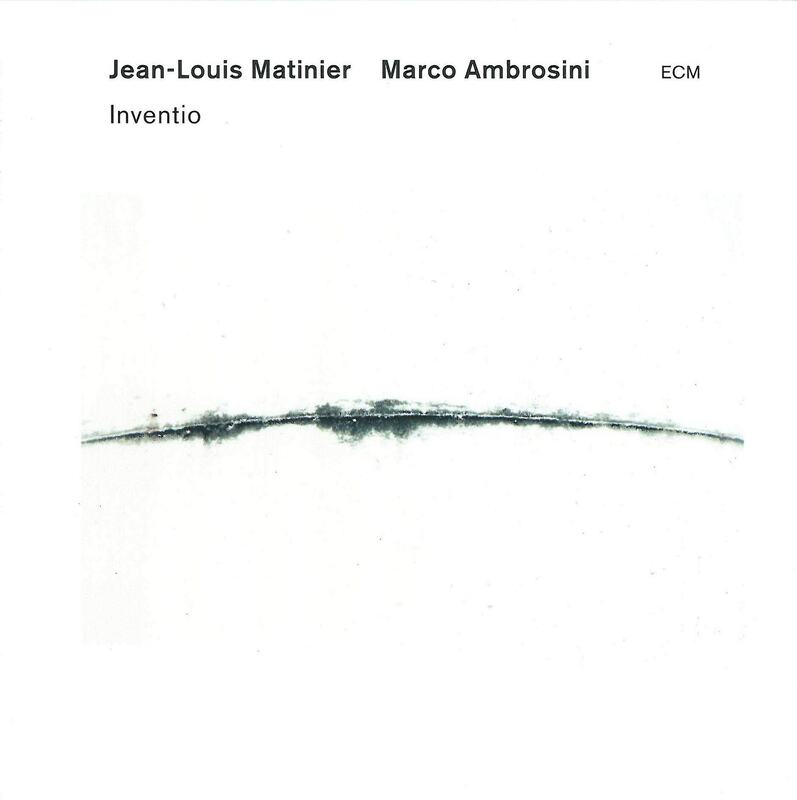 My latest review for RootsWorld online magazine is of Jean-Louis Matinier and Marco Ambrosini’s Inventio. For what it’s worth, this is so far (and by far) my favorite ECM release of the 21st century. No exaggeration. Click the cover to read my review and hear samples of this phenomenal album.